The main objective of our research is to elucidate molecular factors that drive tissue inflammation, using tuberculosis; drug induced liver injury and adverse skin reactions (Stevens Johnsons Syndrome) as models. We use tools such as mass spectrometry to generate an atlas of differentially expressed proteins in the tissue. We investigate mechanism in vitro using cell culture models and reverse translate our findings in vivo using mice. Hlumani Ndlovu holds a PhD in Immunology from the University of Cape Town. He conducted his PhD in the laboratory of Prof Frank Brombacher, working on host protective mechanism to acute schistosomiasis, using cell-specific gene-deficient mice. He stayed in the laboratory of Prof Brombacher to pursue his first postdoctoral training with a research focus uncovering the role of IL-4/IL-13 responsive B cells during acute schistosomiasis. 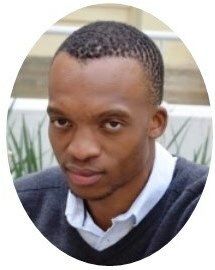 Subsequently, he decided to change his research focus and joined the laboratory of Dr Mohlopheni Marakalala to pursue second postdoctoral fellowship. His research was on targeting the necroptosome for developing host-directed therapies for tuberculosis. He has joined the Department of Integrative Biomedical Sciences to establish his research group. His research interest are on understanding factors that drive tissue damage during infectious disease with a particular interest on tuberculosis, drug induced liver injury and adverse skin reactions.